I have not been on the forums in a while. I am drinking some Bushmill's Irish Whiskey and a Woodchuck Pumpkin Cider on the side. They are paring well with some Billy Budd. I was just wondering if anyone else is enjoying a drink after a long week and if so what are you drinking? Ice tea with sweetner. I'll switch to coffee when the weather turns cold. The ice tea is pairing well with the Solani X Sweet Mystery I am smoking tonight. Sweet iced tea, Earl Grey with a pinch of dried mint. I am a big fan of ice tea flyguy. Why kind of sweetner do you usually use? I have to plug this since I find it to be wonderful - Intellegentsia black cat espresso. In no particular order. Some Oban Distiller's Edition, seltzer, and Oskar Blues Dale's Pale Ale. 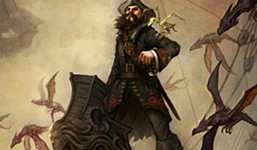 I have had Oban before captainsousie it's a great scotch. How does the the distiller's edition differ? I find it more flavorful with a touch less smoke and a bit more dark fruit and caramel character. The one I have is the 15 yr aged in Montilla Fino casks. I have to say I love this one and will get a couple more bottles for the cellar. The local store actually got some 18yr Limited so that may have to go in the cellar too. Had a couple of Sam Adams Octoberfest with supper. I'm thinking some Russel Reserve Rye is in order before long. Green Tea imported from China by a friend, very good stuff! Lipton ice tea with Splenda sweetner and Realemon reconstituted lemon juice. Smoking H&H Capitol Stairs in a Radice Rind Billiard. @Robusthermit: For dietary reasons, I usually sweeten my tea with Splenda. I would prefer honey, however. With dinner it is Diet Turkey Hill Iced Tea (ginseng and honey), I'm addicted. 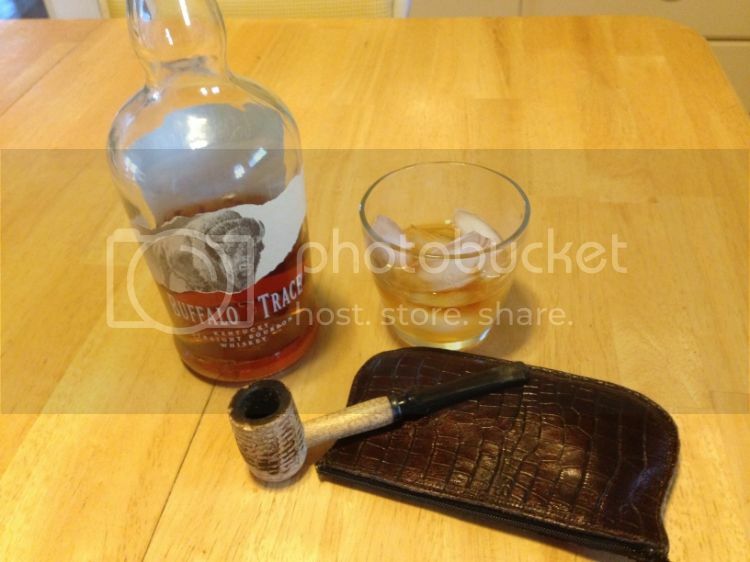 BUT after dinner Wild Turkey and my new Brebbia pipe with some 1Q. Ahh! Timely post...I just finished washing my car and plan and I'm heading to the patio for a G&T, a bowl of Boswell's Cherry Smash, and the Pirates & Cardinals game on the radio. Sebago's Frye's Leap IPA, with some McClelland British Woods in a cob out on the porch listening to the light rain. Sounds nice. I've heard about that brewery but never gotten to try it. Man I miss being close to a god brewery some days. Dinner out included an Australian Shiraz. Martini: Gin, up, dry, shaken, dirty, 4 olives. Bombay sapphire G&T with PS Cherry Bon Bon in my Peteerson system. Tonight it's some Sandeman Port and C&D Haunted Bookshop. Black tea nothing else just black tea leaves and water. Buffalo Trace on the rocks and a bowl of Lane HGL before dinner. Who says you can't have your dessert first. A "Frostie" root beer in a glass bottle. Best root beer in the world! Water. Maybe a Gin & Tonic later. Virgin Bourbon on the rocks and some MacB's Plumcake. Same thing I drink every night. Alberta Premium %100 Rye whiskey. The only true Rye. Everything else is a blend. Earlier, Maui Brewing Coconut porter. A few minutes ago, Abita Pecan Ale. Next in line, Hobgoblin dark ale. Chai Latte nice and warm out by the fire pit with a bowl of GLP Triple Play! Yum! Enjoyed a couple of nice local craft ales with dinner, am wrapping up with some 1792 bourbon and a bowl of LaGonda. I have fallen in love with Angry Orchard hard cider. I'm seriously contemplating one of those, with a bowl of Wise Fox. Tonight is plain straight cranberry juice. I replaced the un-sweetened tea spot in the fountain with the 'ol red juice. Bump for new year's eve. For me tonight it's Lagavulin 16 and a touch of Pellegrino. Magical. Happy New Year all! Nothing but water, as usual. I was introduced to this thing called apple pie. Its basically a cold apple cider with lots of shine.. I mean pipe cleaner in it. I humbly reserve the right to post an intuitive thought here ... When ONE comes to mind. The usual Coke Zero, cold but half flat to kill the carbonation. What am I gulping, Guinness Blonde, I will also take a brunette or redhead. Knockout Redheads with green eyes are my weakness. I married a Brunette with hazel eyes. I'm drunk, good night all. Sipping white lightning here, and smoking an Oliva Connecticut robusto. A big mug of Earl Grey tea, its teatime in the UK. Just water and coffee....at work right now. It's derby day. Mint Juleps, of course. With Knob Creek. Corvette Summers: Equal parts silver tequila, unsweetened grapefruit juice and Fentimans tonic water garnished with a squeezed wedge of lime. Same as every night scotch on the rocks. Jamesons with a sprig of mint, in honor of the Derby. Juleps are some trouble, and I felt like Irish. A tumbler of "Honey Jack" straight up. Slow sipping. With the in laws who generally don't drink so...water. Got a Corona and a lime wedge going here.